We had a wonderful weekend with the KIWL Palace Walk/Run. Many of our corporate sponsors joined and helped raise over 500,000 JPY for our Digital Citizens training. With over 35 years of experience, the professionals at Kojima Law Firm are experts in Japanese and international law, they take care of all of the steps involved in the legal process, and their services go above and beyond any other standard Japanese legal help. To further prove their support of bridging the gap between international and Japanese entities, they have chosen to sponsor the KIWL (Knights In White Lycra), a group of international individuals in Japan who “get fit and give back” to different charity organizations. Huxley takes part in a wide range of CSR initiatives and programmes with a vision to transform lives through skills and work. We’re proud of our strong philanthropic history in partnership with our parent company, the SThree Group. This has been developed over the years to strategically align with the Group’s commercial strategy and incorporate our STEM (Science, Technology, Engineering, and Mathematics) expertise. The central theme for our global CSR activity is employability and aspiration. Our approach best utilises our core recruitment expertise, skills, and networks to help people from underprivileged backgrounds into work. The SThree Foundation further enriches our goal. Launched in 2016, the SThree Foundation supports bright young people from underprivileged and diverse backgrounds into the STEM industries. 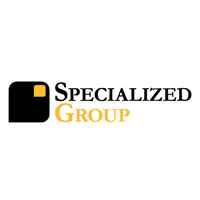 Specialized Group provides professional recruitment services to bilingual professionals in Japan. Our work is understanding people. We are extremely passionate about connecting the right person to the right role. Great people make great workplaces. Protect something important from various dangers. With excellent guard technique, we secure safety for you. In our special guard services, we guard everything from VIPs to valuables, transport and research. Our building security services protect everything day and night including office buildings, airports, schools, hotels, factories and warehouses. One thing has remained constant in en world’s journey from recruiting services start-up in 2000 to one of Japan’s leading talent acquisition and management firms today. We have always looked beyond the traditional narrow focus on hiring transactions. The en world way is to partner long-term with clients and job-seekers to support in the most comprehensive way possible the process of identifying, attracting, retaining, and developing global talent for global organizations in Japan. Since becoming a group company of en-Japan in 2010, we have been able to innovate at an ever-increasing rate, expanding our range of services and finding new ways to make employment relationships more productive and fulfilling. We believe there is no more important calling, and no better way to drive business success and enhance careers. With offices in Tokyo, Osaka, and Singapore hosting a team of more than 60 full time researchers and 100 staff interviewers, CarterJMRN is a full service Japan-based market research agency. Our history began in 1989 with the founding of the Japan Market Resource Network. In that time we have worked with most of the major international brands to have entered and prospered in Japan. As a fully bicultural agency, we are known for the cultural sensitivity and effectiveness of our responses to clients’ challenges, applying intelligent and efficient research design. We enable highly practical, prescriptive and actionable solutions. We lay the foundation for our clients’ marketing activities in Japan, including market entry, with innovative methods that cover the gamut of immersive, qualitative and quantitative approaches. These include cultural analysis, trend watching, secondary desk research, depth interviews, ethnography, focus groups and all quantitative survey methods. We are your guide to unmasking the needs, desires and opinions of Japanese consumers and helping you to translate those into action. Our true purpose has yet to unfold. Where the laughter of children would never be erased. We should cooperate and become so much greater. Because we should make the most of being alive. But my true purpose is shouting at my ear. Yet we still blame the creator for how life has gone south. Because the world that we live in is the only home we've got. One day, we will regret how the world should have ended. Because I have realized my true role on Earth.